In theory, it shouldn't be that difficult to process small components at the bench, but in reality this is often not the case and especially so when part-way through an installation. Achieving workshop accuracy away from the bench is something that can test the patience of the most experienced cabinetmaker and requires some lateral thinking. For the most part, the primary function of a jig is to hold the workpiece, large or small, securely in place while a specific operation is carried out. In varying degrees they introduce accuracy, safety and continuity to achieve results that would not be feasible to attempt freehand or by other means. 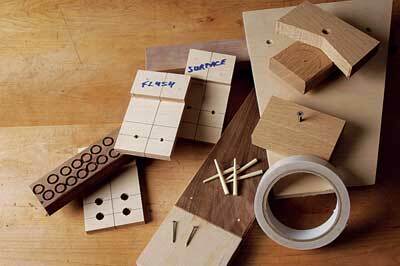 It's not uncommon to begin some projects with the construction of a complicated jig that will, in many respects, be far more complicated than the component required. The jigs that follow in this article benefit from a level of ingenuity matched only by their simplicity and, in some cases, will even fit in your pocket. Others can be put together using what's in your tool box or retrieved from the scrap pile. Quite often it's not the fix you get into that matters, it's the way you get out of it that counts. Thank you to those who have shared any of the following tips and saved my bacon. 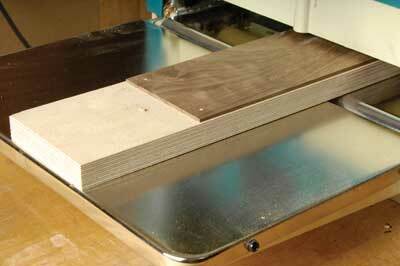 This is hardly a jig, I know, and it doesn't get any easier or cheaper than this. I saw Andy Ryalls from Phoenix Building Conservation demonstrating this little technique at the European Woodworking show last year. 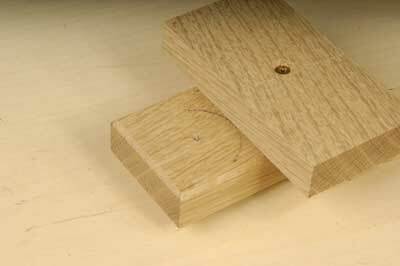 Using a Japanese plane, he managed to reduce a peg of soft wood to a mere slither using a single box nail as a stop. 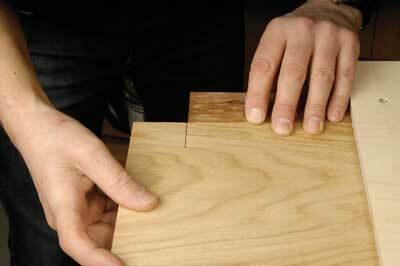 Start by driving the nail into a flat, but sacrificial, bench top. 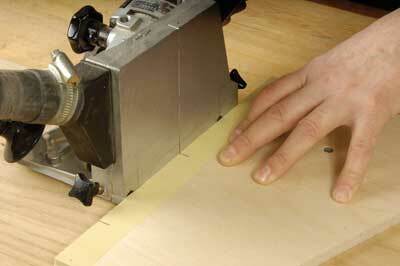 The head of the box nail will cut into the end of the workpiece and hold it firm. 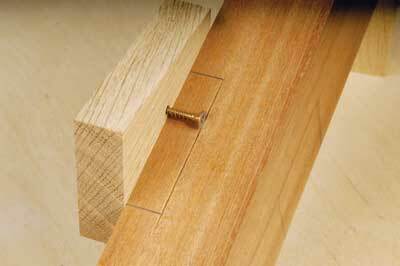 Check the height of the nail every so often and adjust it with a gentle tap from a hammer. It requires a little nerve, especially if you've just sharpened your iron. 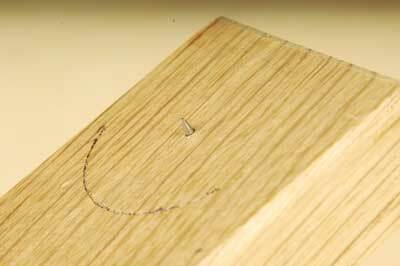 Veneer pins will work equally well but if you're feeling flush you might prefer to use a Japanese wooden nail or even a matchstick if you can find one. Youâ€™ll need to drill a pilot hole first of course and this only really works on thin material. No workshop should be without a roll of double-sided tape. 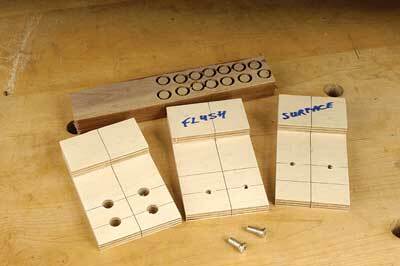 It's great for mounting templates to stock pieces for routing and for attaching short sections to a carrier board to pass through a thicknesser. 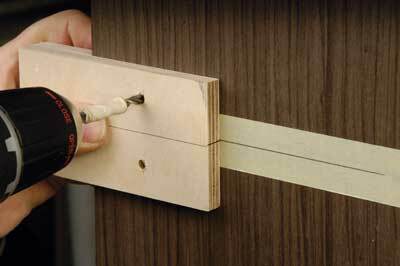 On thin pieces, roll the tape down onto the carrier before placing your workpiece onto it, aiming to get it as flat as possible. The feed rollers generate a lot of downward pressure so for very thin pieces that are likely to break when being removed from the tape, create a pair of stops with bevelled ends instead. 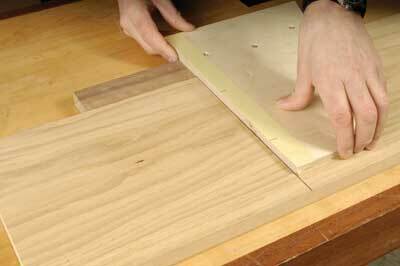 If the board is oversize, wide and thin pieces can be attached to a carrier board with the addition of Japanese wooden nails. This one was supplied courtesy of Matthew Platt at Workshop Heaven. 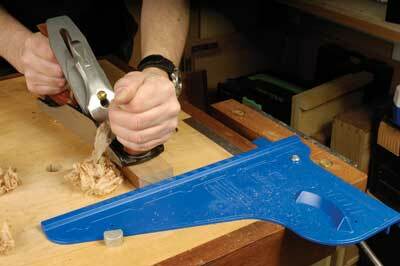 These saw jigs are cheap to buy from either Kreg or Bench Dog. 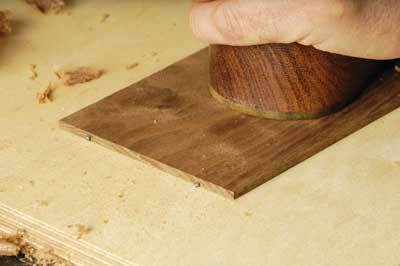 To use, simply pop the jig in the vice to act as a stop for planing thin boards. A strategically placed bench dog will give you a solid stop. I call this a square but it has its uses for angles other than 90°. 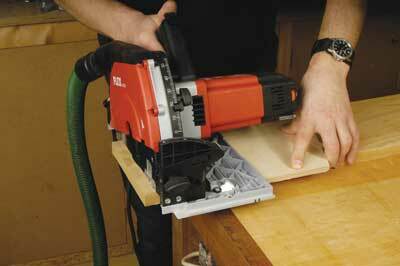 You can use it with a router, biscuit jointer or Domino. 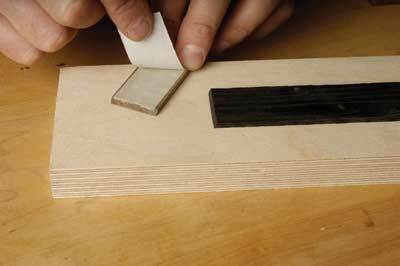 Run a piece of masking tape along the top to make any reference marks. Common settings can be used on multiple components. 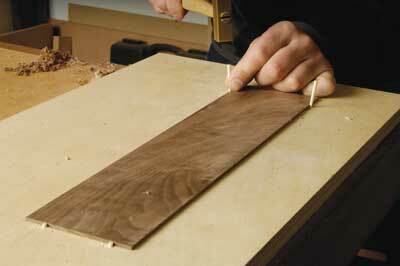 Make this jig or square with the 'T' bar longer than the width of the base of the saw. The first cut with the saw will trim it to length and establish the blade position relative to the fence. 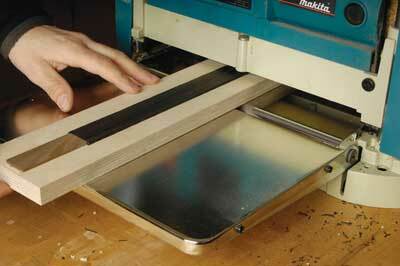 Line up the cut with a mark on your board and saw remembering which side of the blade you are working with. It's a good idea to sometimes mark which side is waste. 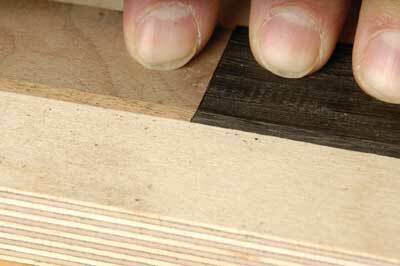 Like the square in Jig 5 you can also make this up with a specific angle in mind. It's worth noting that not all plunge saw bases are the same so be careful if you lend it to someone else. 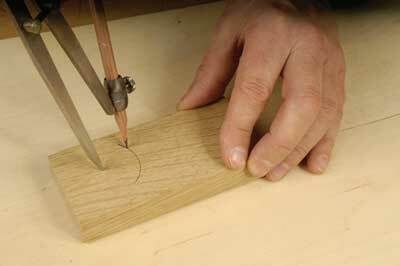 Left your marking gauge behind on the bench? You need not worry if this is the case. 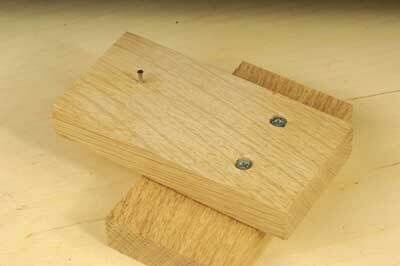 Chances are you can lay your hands on a nail and a couple of blocks of scrap lying around the workshop. 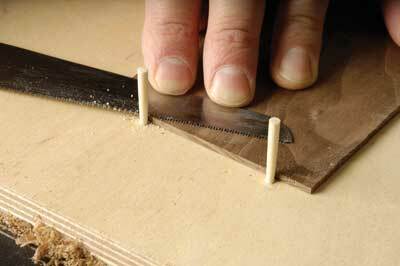 You may need to doctor the end of the nail a little to achieve a sharp point or even create a knife edge. Do this after you've driven it through the hole though. Drilling a full shank width hole for the first screw makes setting up a little easier. When youâ€™ve achieved your setting, drop down to a regular pilot hole. 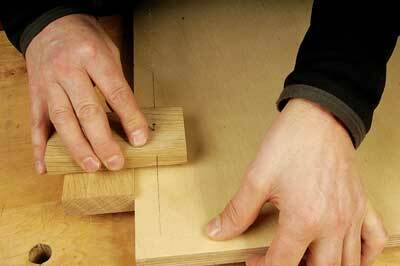 Use the same block and nail but cut a wide 'V' into the fence piece to use on curved edges. Note this will only work on curves with a constant radius. Don't laugh until you've tried it. This jig is crude but deadly accurate. Set the screw to the depth you need and leave it set up. 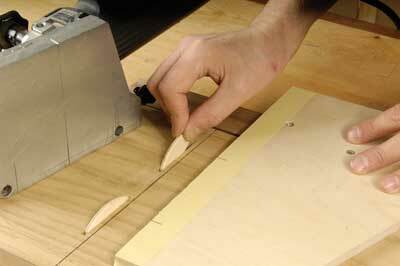 If you want, you can fine-tune the cutting edge of the screw with a metal file. 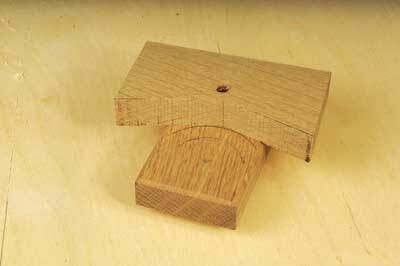 To make a mortise gauge, put a second screw in the block. I don't do quite as many installations as I used to but this little jig always came in handy for fitting concealed hinges on the fly. Mark it out with a centreline and holes that relate to either face--fitting or flush-fitting doors and the type of screws you are using. A lot of different makes of backplates share the same drilling pattern. Have a spare with 10mm holes, a hand full of plugs and some glue and you've got a complete repair kit if things don't quite work out.